I had an amazing time with my friend, sister, and fellow WAMM author June Kramin. 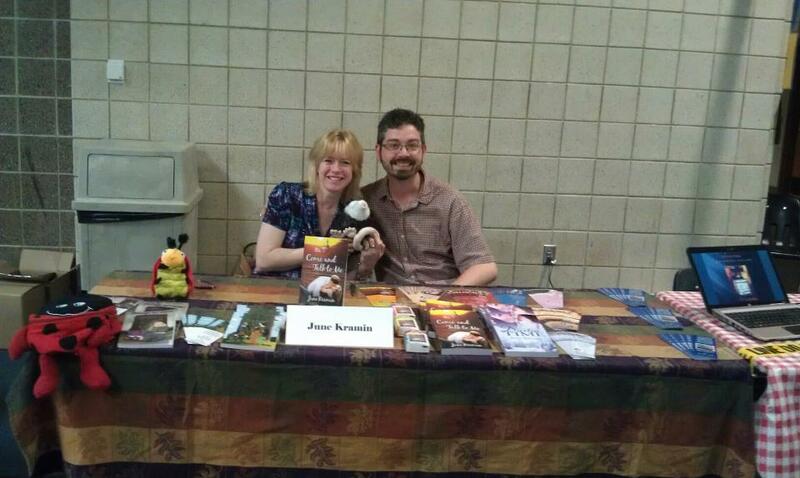 She invited me to sit with her at the Bemidji Book Fair and brought me bookmarkers to hand out to get the word out about my book. My sister, Paula, JP, Ron, and Steve were there to help out and give moral support. I am so lucky to have such amazing and wonderful people around to support me! OH! 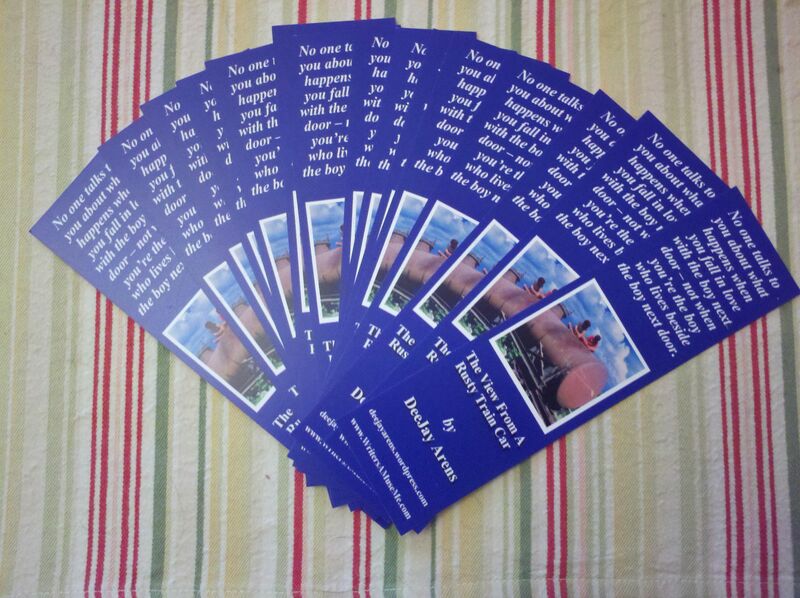 And here are the bookmarkers I was talking about. It is SOOOOOO exciting having things come together as the release date approaches! Some days I can hardly believe it. I found out yesterday that it will be late August! I’m making plans for a release party/signing! Watch for details as they come together.